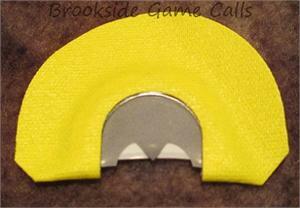 New for 2011 is our new bat wing style call. This is very easy to play and makes an excellent raspy old hen sound. With the bright yellow tape you'll be sure not to lose this call in the woods.